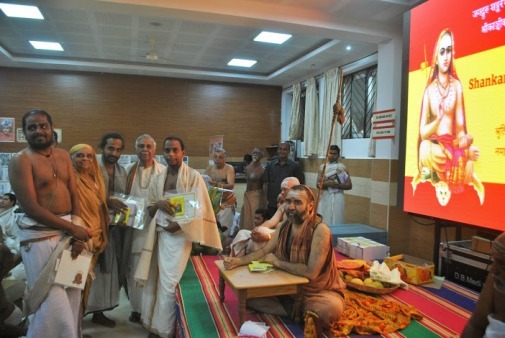 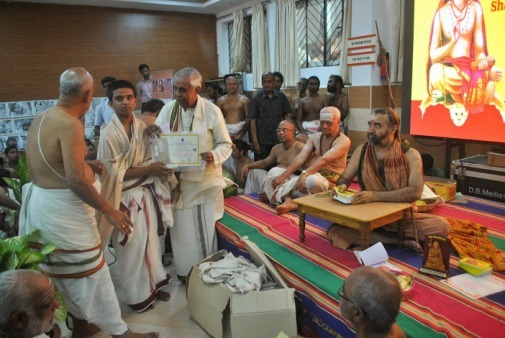 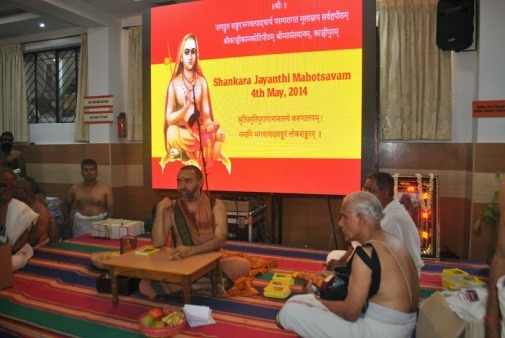 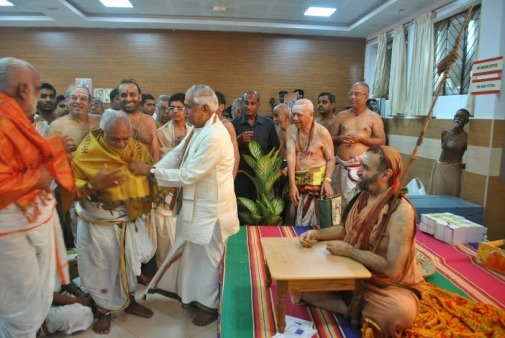 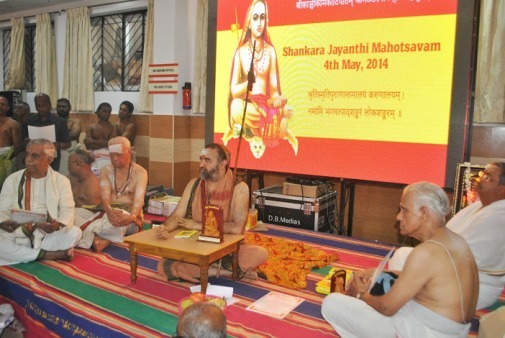 With the benign Blessings of His Holiness Pujyashri Jayendra Saraswathi Shankaracharya Swamiji, His Holiness Pujyasri Shankara Vijayendra Saraswathi Shankaracharya Swamiji distributed the Veda Poorthi Pariksha Certificates to the Students on 5 May 2014 - Sankara Jayanthi day at Shrimatam camp in Bangalore . 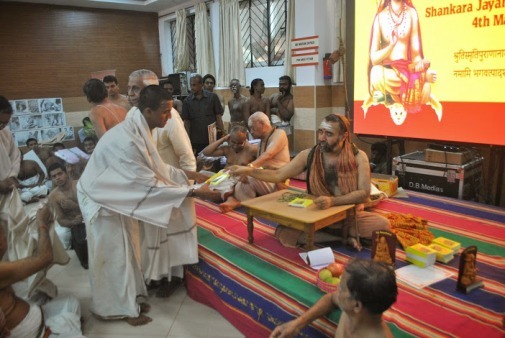 His Holiness conferred His Blessings to the Vidyarthis and their Gurus. 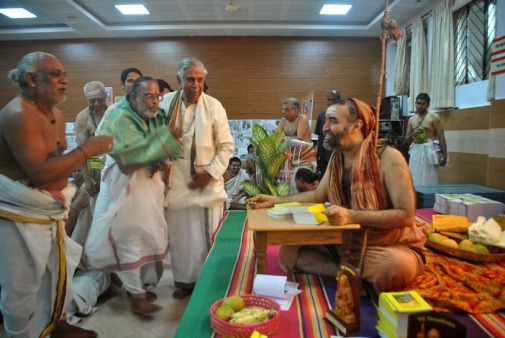 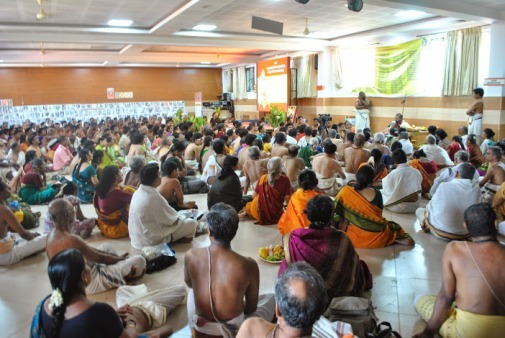 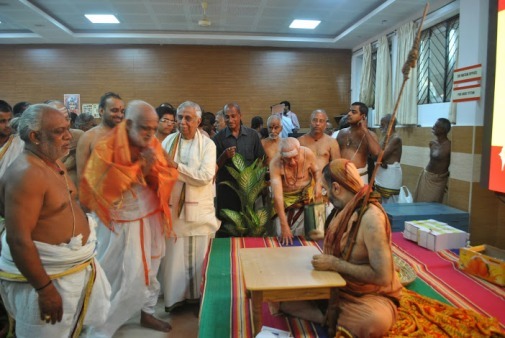 Vidyarthis from various patasalas pursuing studies in the different branches of the Vedas had participated in the examinations conducted at Srimatam. 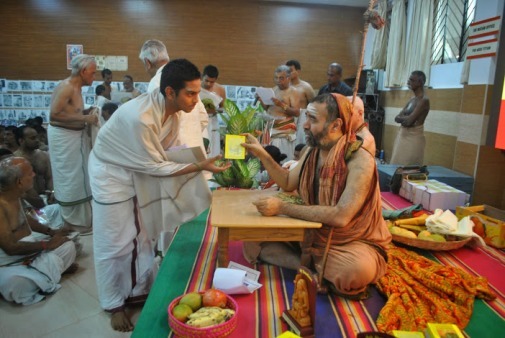 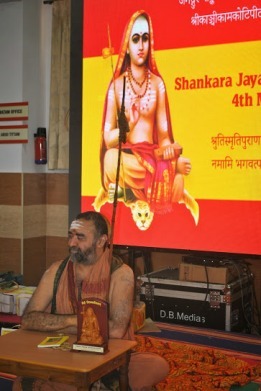 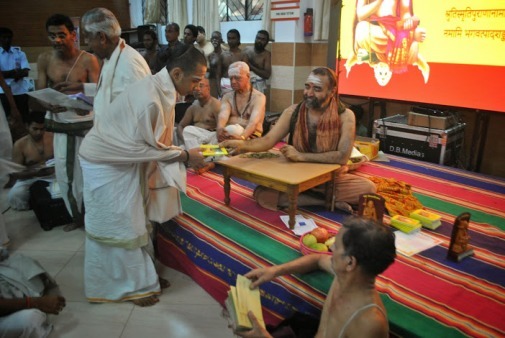 Every year, the certificate distribution takes place twice - on the Shankara Jayanthi day and on Vijayadashami day.